You can never go wrong with a hot baked potato piled with melting butter sprinkled with a little salt and pepper. But sometimes you just need to get a little creative and take that baked potato from a side dish to the main dish. 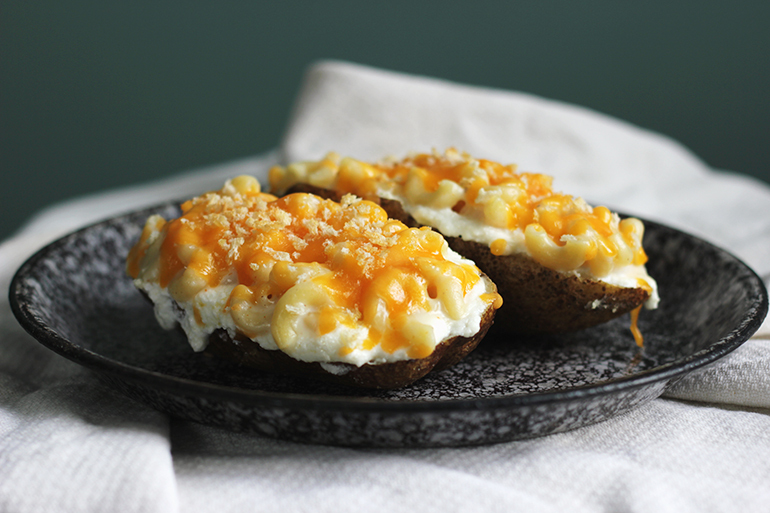 We had a baked potato topping party and came up with some fun and delicious ways to top our spuds. 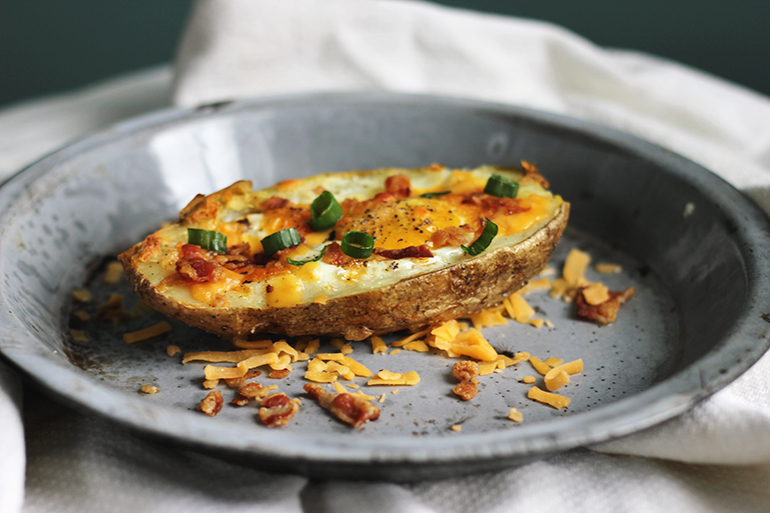 These baked potatoes are pretty fantastic and definitely worth trying out! 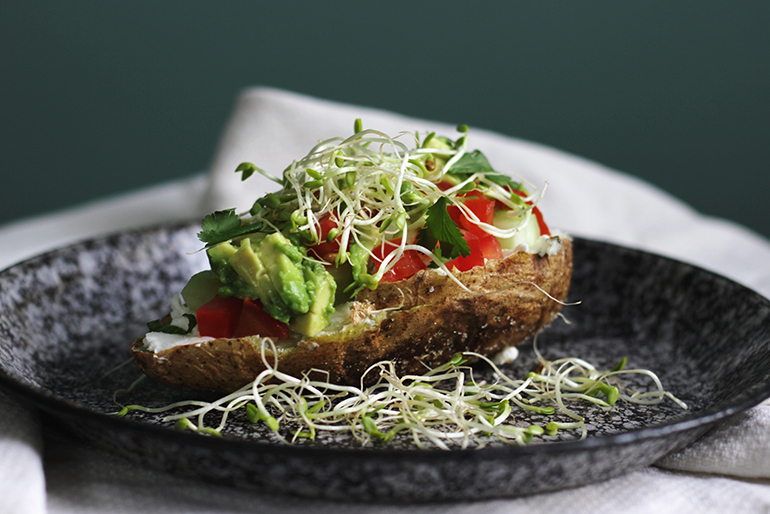 (If you’re not sure how to bake a potato, you can check out this post for a good how-to). Spread some ricotta on your potato. Top with some delicious homemade macaroni & cheese. Sprinkle with sharp cheddar cheese and bread crumbs. Place under broiler for a couple minutes to melt the cheese and toast the bread crumbs. 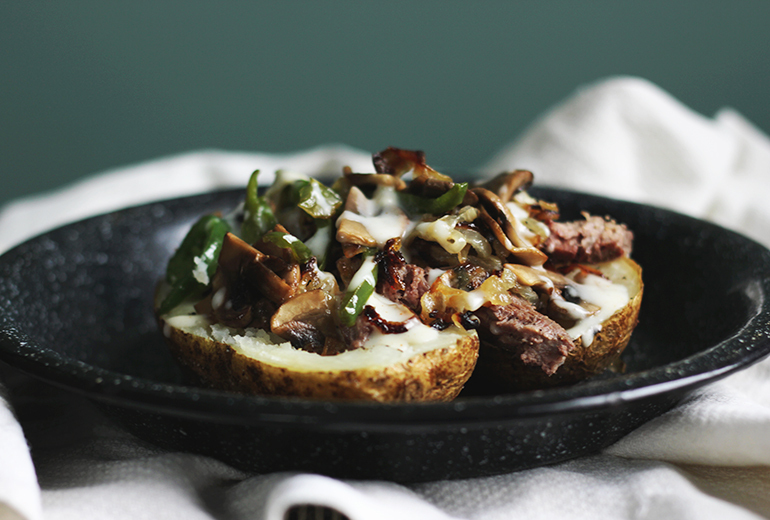 Top your baked potato with strips of steak, caramelized onions, cooked peppers & mushrooms and white cheddar cheese sauce. 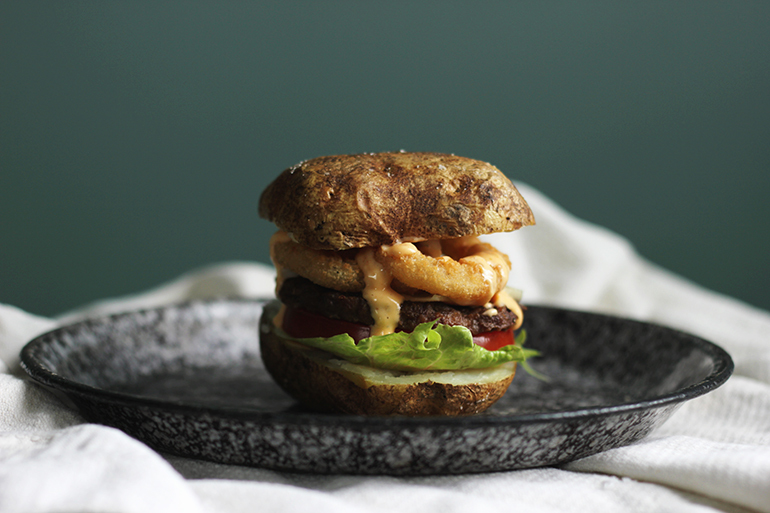 Top a baked potato with lettuce, tomato, a hamburger, pepper jack cheese, onion rings and zesty sauce. 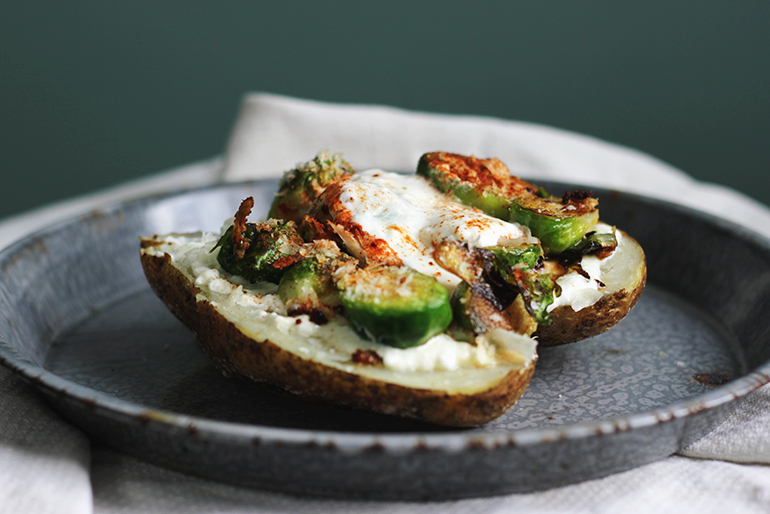 Top your baked potato with greek yogurt (or plain yogurt), cooked brussels sprouts, paprika and grated parmesan cheese. A baked potato the kids are sure to love! 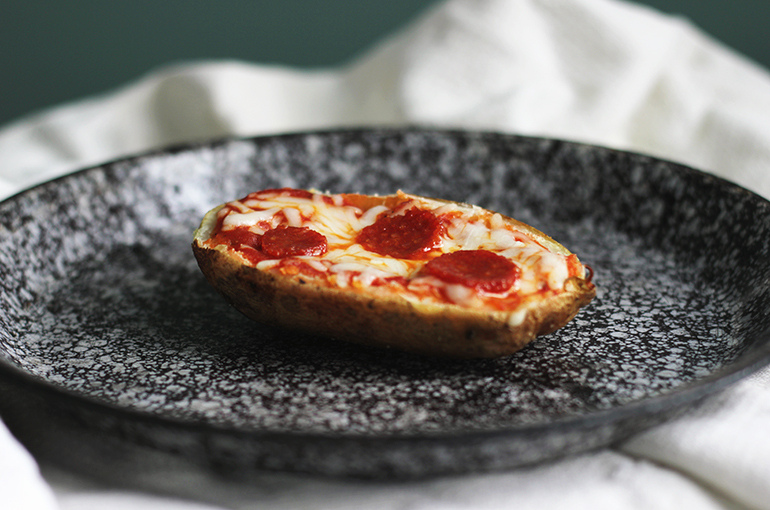 Top baked potato with pizza sauce, mozzarella and pepperoni slices. Bake at 350 for 10-15 minutes or until cheese is melted. 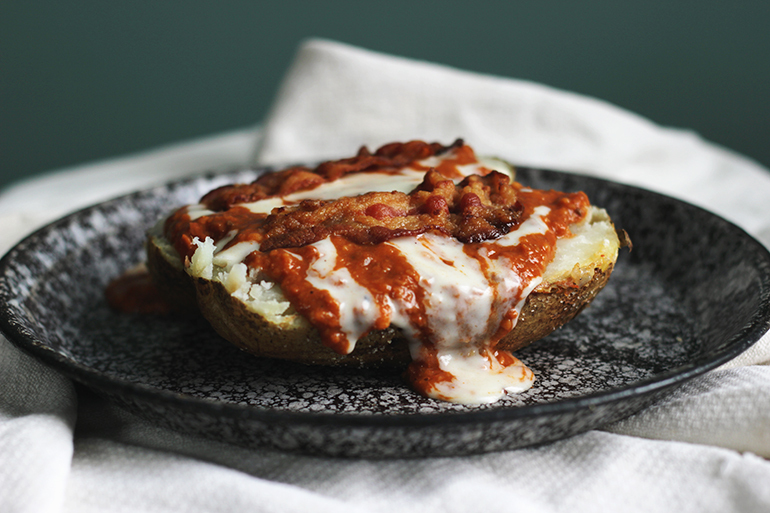 Scoop out some of the flesh of a baked potato, creating a small bowl. Fill it with a big scoop of macaroni salad. 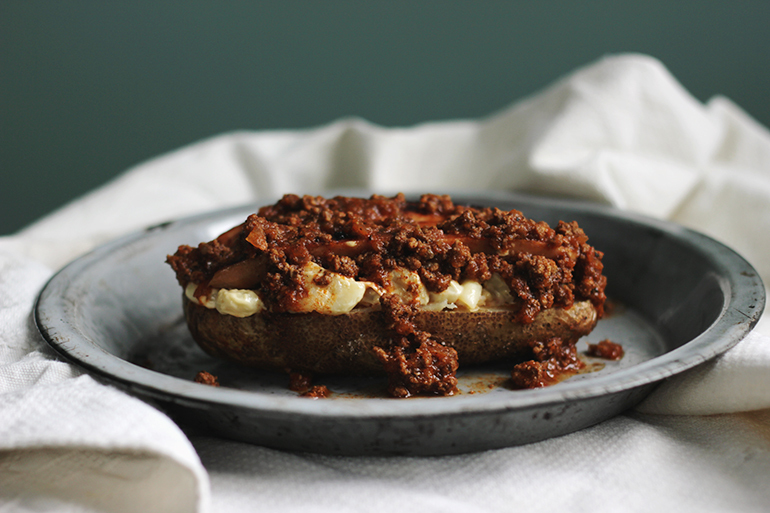 Put a grilled hotdog on top and then pour some hot meat sauce all over. Spread goat cheese and chives over potato. Top with diced tomato, avocado and cucumber. Sprinkle with cilantro and alfalfa sprouts. 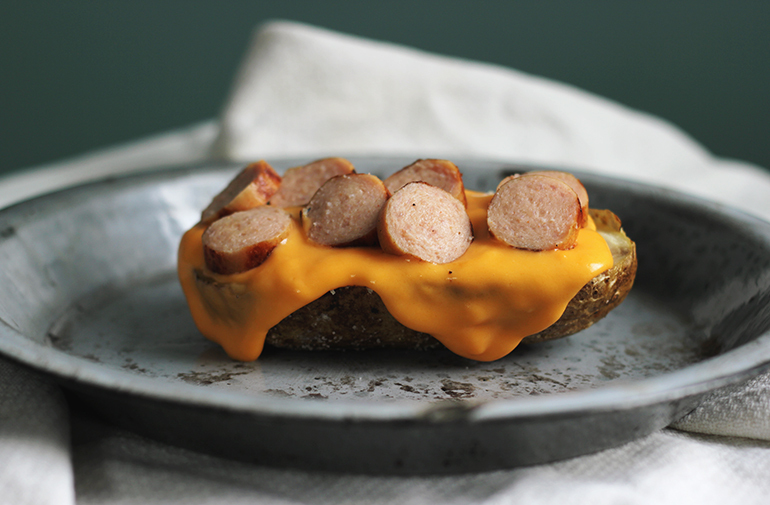 Another good option for the little tots – top a baked potato with cheese sauce and sliced cooked hot dogs. 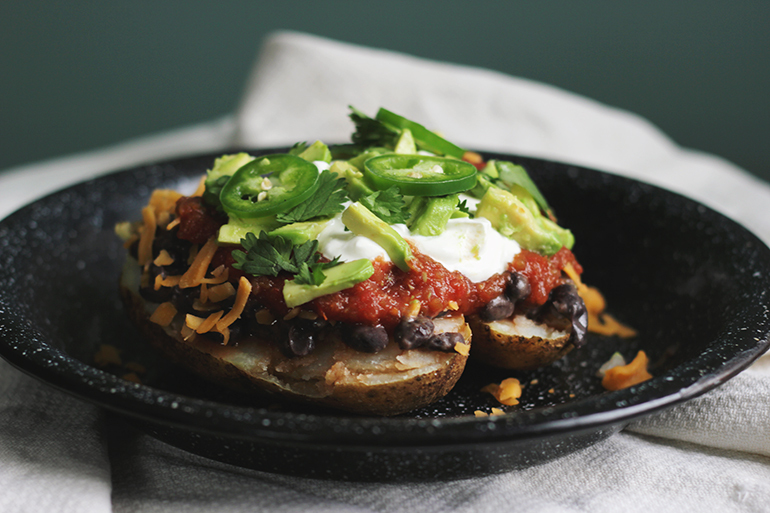 Top baked potato with black beans, cheese, salsa, sour cream, avocado, cilantro and jalapeños. Top potato with chili then drizzle with white cheddar cheese sauce. Top with a couple slices of crispy bacon. 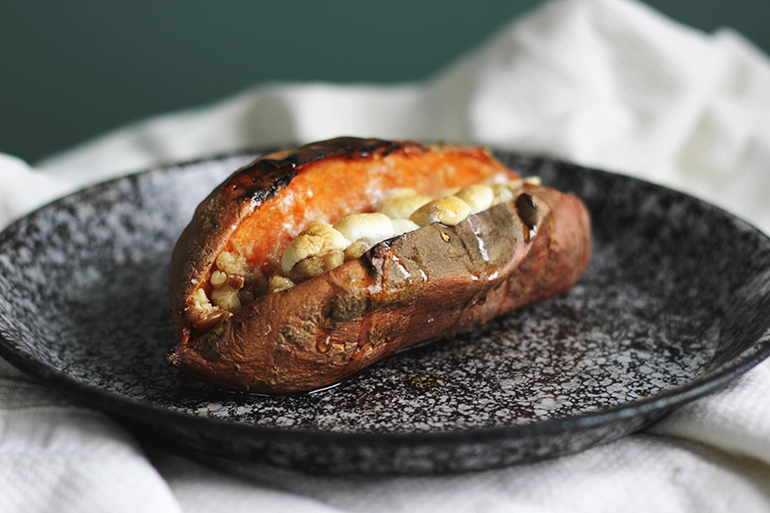 Add a dab of butter to a baked sweet potato. Sprinkle with pecan crumble (recipe below). Top with mini marshmallows and bake at 350 for 20-25 minutes or until topping and marshmallows are golden.